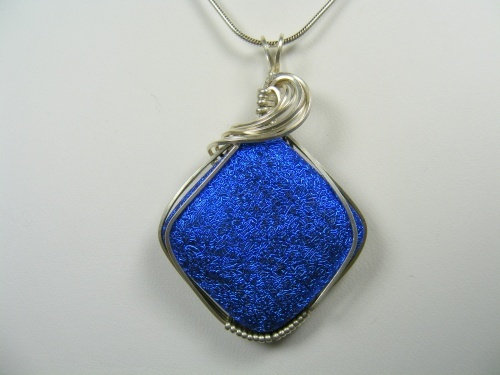 This striking and vibrant blue handmade dichroic glass is for all you blue lovers out there. You will look and feel amazing when wearing this piece because of its eye candy color. Sculpted with sterling silver curls and swirls, piece measures 1 3/4" by 1" and comes with a sterling silver snake chain.